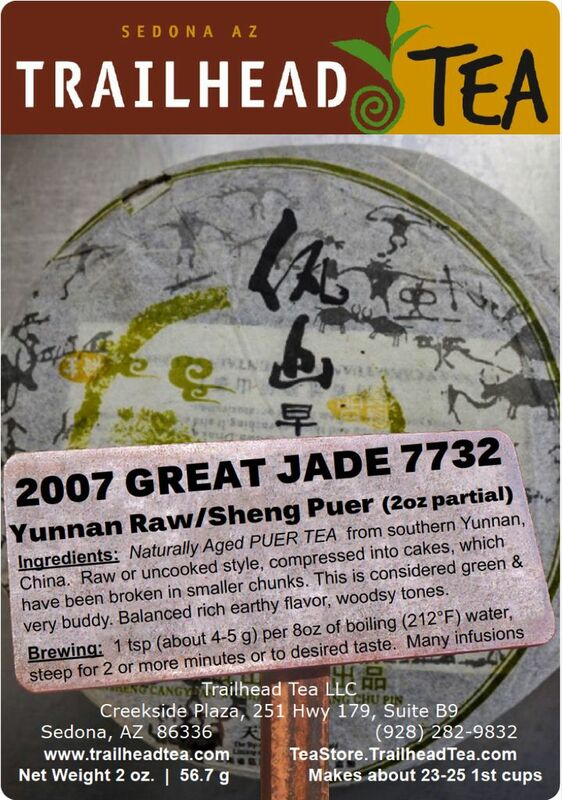 2007 Raw/Uncooked/Sheng style aged PUER TEA, compressed and shaped like a cake/Frisbee called a Bing Cha. 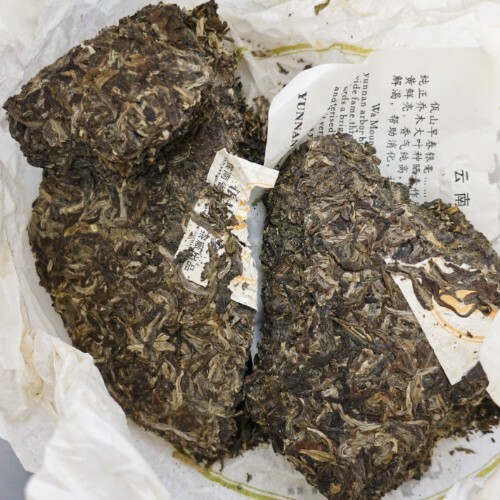 Naturally aged/fermented PUER TEA from southern Yunnan Province, China. 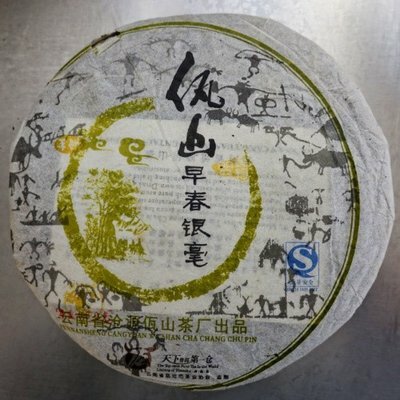 2007 Raw/Uncooked/Sheng style, compressed and shaped like a cake/Frisbee called a Bing Cha. Break in teaspoon-sized chunks to brew. This is considered green and very buddy. Balanced rich earthy flavor and woodsy tones. 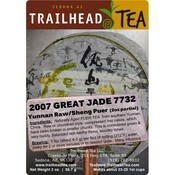 Package size is 2 ounces of full leaf tea, which yields approximately 25 first cups. The whole TuoCha is 14 ounces which yields about 175 first cups. 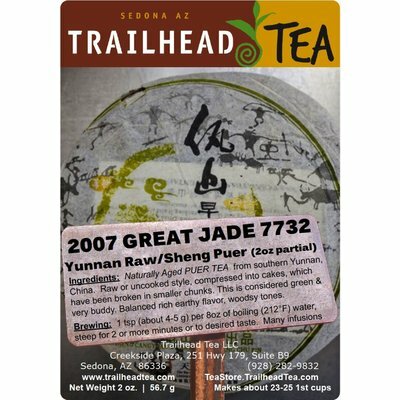 The quarter ounce tasting sample is available for about 3 cups. BREWING: Teaspoon-sized chunk or leaves (about 3-4g) for every 6-8 oz of boiling 212°F fresh water. Steep for 1-2 minutes or longer to desired taste. Up to ten infusions are possible by increasing steep time 30-seconds or one minute each time.